OWC has just launched the first FireWire 800/400 2.5″ portable drive offering 1TB of storage capacity with USB 2.0. Creating a large portable storage solution for both Mac and PC users. 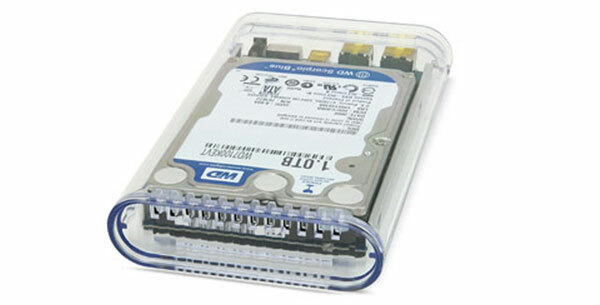 High-Performance 2.5″ 5200RPM, 5400RPM, 7200RPM, and SSD solutions with up to 64MB data buffers gives you maximum storage in an ultra-portable, totally bus powered design. Stylishly engineered in a sleek, impact-resistant acrylic enclosure, the Mercury On-The-Go Pro incorporates shock-isolation technology to give maximum protection for your precious data inside. The Mercury On-The-Go Pro is a true must-have for users like you who are seeking High-Performance and Highly Reliable storage weighing less than 11 ounces and that is small enough to fit in your shirt pocket.